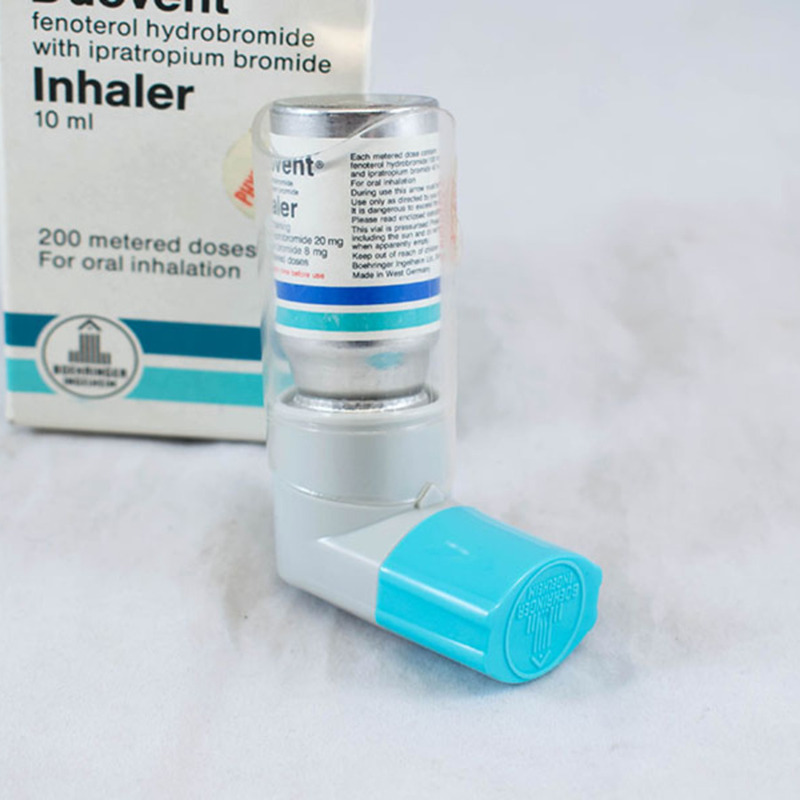 Metered-dose inhaler (MDI) containing fenoterol hydrobromide with ipratropium bromide. In a cardboard box with "Physician's sample" sticker and instruction leaflet. 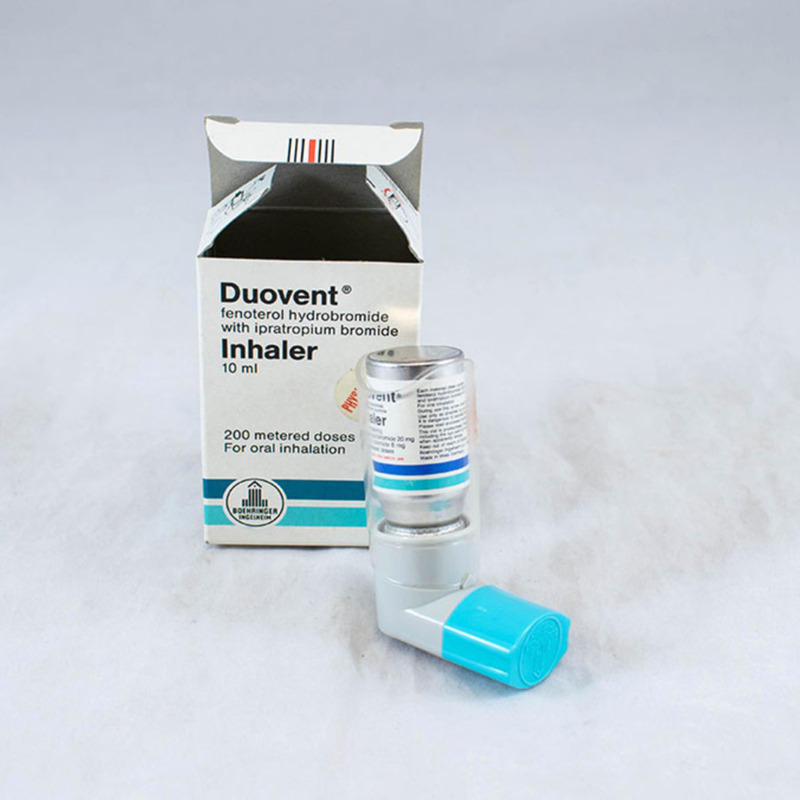 Boehringer Ingelheim; 1885-; Pharmaceutical company, “Duovent inhaler,” Heritage, accessed April 20, 2019, https://heritage.rcpsg.ac.uk/items/show/1025. 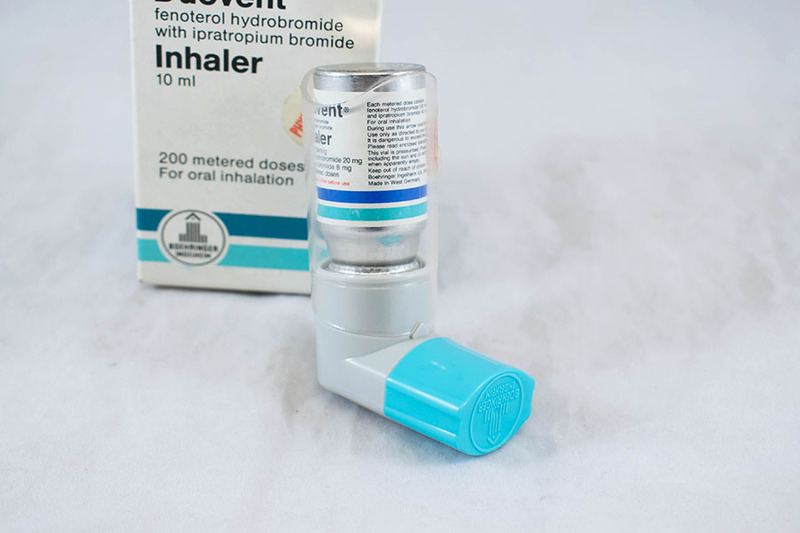 Description: Metered-dose inhaler (MDI) containing fenoterol hydrobromide with ipratropium bromide. 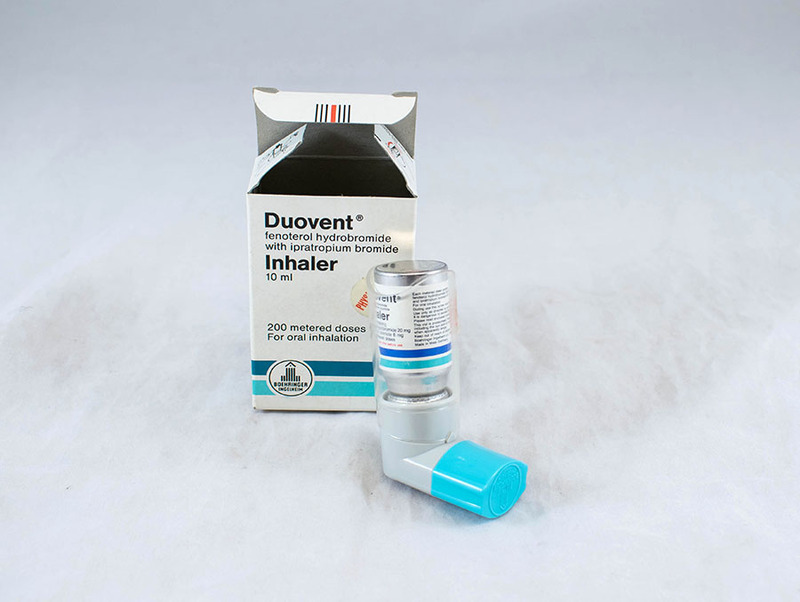 In a cardboard box with "Physician's sample" sticker and instruction leaflet.